Selling your property online seems to be the logical choice in the modern era. Gone are the days of instructing costly high street estate agents costing thousands and taking months, if not years to sell your property (if they manage to achieve a sale). Approximately 98% of home buyers start their initial search for their new home online, and therefore this has paved the way to the reduction of high street estate agents in the market, and a significant rise in the number of property buying companies, online estate agents and auction houses. Selling your house online through the internet has become the Buzz in recent years for homeowners, not only can it be cost effective but it can be a hassle free way to sell property online quickly. Traditional high street estate agents have reduced substantially in recent years as homeowners have realized that selling your home online is one of the quickest and cheapest selling methods available. Homeowners should establish when selling property online that online estate agents are a member of The Property Ombudsman scheme (TPOS) or Ombudsman Services. If your online estate agent is a member of either one of these companies, you can be assured that your house sale online will be handled correctly and efficiently. Some online estate agents have the added benefit of been regulated by the RICS (Royal Institution of Chartered Surveyors), these estate agents are rare but have a great understanding of the market and have the property knowledge and experience to assure you of a quick house sale online. Vendors should establish in the contract the true cost of selling property online. Online estate agents can sometimes hide hidden costs so its important to review the contract in great detail before you instruct an online estate agent to sell your house online. Not only should the fees and fee structure be highlighted clearly in the contract, it should also be made transparent throughout the website. Unfortunately a large number of online estate agents these days don’t provide a free valuation service, instead they expect the homeowner to have an understanding of their property value. When you have decided to make the decision to sell your house online and want to use an online estate agent, make sure they provide a valuation service and not just a listing service putting your property on Rightmove, Zoopla and Primelocation. When you instruct an online estate agent, is the costs of professional photography, property description and a floor plan included in the price? A lot of online estate agents just list your property on the property portals, however there are excellent online estate agents who include valuation, sales progression and negotiation in the price. Homeowners should establish this from the outset before selling your property online. A good online estate agent will list your property on all the major property portals like Rightmove, Primelocation, Zoopla, Home etc. The issue however is if you don’t instruct a large online estate agent, some only advertise on one property portal which wont give your property sufficient market exposure to generate a fast house sale online. When selling property online, make sure you clarify with your online estate agent which property portals they use to market your property. Online estate agents are a much cheaper option over the traditional estate agent. Traditional estate agents charge around 1 – 1.5% of the purchase price, but these days selling your house online through an online estate agent can be achieved from as little as £395 + VAT. Using a £200,000 property as an example, a traditional estate agent could charge a sales fee in the region of £2,000 – £3,000 + VAT, compare this to just £395 + VAT, its a bit of a no brainer! Online estate agents can generally do all of the services a traditional estate agent can do, so photographs, floor plans, virtual tours can all be achieved when selling property online through an online estate agent. Online estate agents are generally very accessible, either through the website or on the telephone. Unfortunately given the substantial saving in costs over a traditional estate agent, this means homeowners will have to do quite a bit of work themselves. 95% of online estate agents don’t undertake viewings so when selling your property online, be prepared to carry out all viewings. In addition to viewings, a lot of online estate agents don’t provide a valuation, sales progression or negotiation service so its not as straight forward as you think. Some online estate agents when selling houses online wont advertise your property on the major property portals to save on costs. Its imperative homeowners check where online estate agents advertise before they instruct them for their house sale. Unfortunately most online estate agents aren’t members of the Property Ombudsman, Ombudsman Services or the RICS. For this reason, their property service isn’t always great and you might just be paying them to purely list your property on the market, with no additional services. Another selling method for your house is to sell property online through a property buying company. Property Buying companies are an excellent way to sell your home online fast, these companies are generally recommended for homeowners who need to achieve a quick house sale, generally within 2-3 weeks. Unfortunately the problem with traditional and online estate agents is that a sale on your property is never guaranteed, plus if a sale is achieved this could take 6 – 12 months by the time you consider the conveyancing process. Property buyers generally buy your property for cash, complete in a timescale to suit you and they pay all fees associated with the transaction on behalf of the homeowner. Make sure that the property buying company you use is regulated by the RICS (Royal Institution of Chartered Surveyors), The Property Ombudsman (TPOS) or the NAPB (National Association of Property Buyers). The National Association of Property Buyers was set up in 2013 and they provide a full list of accredited property buyers who are all regulated by the The Property Ombudsman. Good Move is one of those selected property buying companies and we can assure you of a quick house sale with little fuss. Be careful if you don’t instruct a property buying company who isn’t regulated by the RICS or NAPB. Some “property buying companies” don’t have sufficient funds to purchase properties and act as a broker to facilitate a sale on behalf of an investor. Homeowners should establish from the outset when selling your home online that the property buying company is buying your property in cash. If they intend to use a mortgage this isn’t always guaranteed and we would advise you to find alternative property buyers if that’s the case. Make sure that property buying companies have professional indemnity insurance. Establish from the start that the property buying company has a complaints handling procedure. When you have decided to sell your property online through a property buying company, be sure to ask for evidence of recent sales. Without actually seeing properties a company has acquired, how do you know they have the funds to purchase your property? Property buying companies are a great way to selling houses online quickly and efficiently! If you use a surveying firm like Good Move or a member of the National Association of Property Buyers, you will be guaranteed a quick house sale! Property Buying Companies sell property online fast and can complete on your property within 7 days (the average is generally 2 – 3 weeks). Property Buying Companies when purchasing properties from homeowners pay for ALL sellers fees, so their legal fees are paid, together with valuations, surveys and there are no estate agency fees to pay. A property buying company can buy any house in any condition. If you were selling your property online and it was in a terrible condition or was structurally unsound the chances are you wouldn’t sell your property on the open market. The great benefit of a property buying company is that regardless of your properties condition, they will buy anything at the right price. There are no fees to pay at all, regulated property buying companies pay for all homeowners sellers fees which is inclusive of your legal fees. Property Buying companies generally buy individual properties up to £500,000, although this price can differ for different types of property buyers. Regulated property buying companies are now monitored and moderated by the National Association of Property Buyers and The Property Ombudsman. Quick timescales for property completions cause no issue for property buying companies. Sell my property online through a property buying company generally means you will receive less than the market value. The price you will receive for your home is generally more than what you would receive at auction but the price is usually 80 – 85% of the market value with all of your seller fees paid. Not all property buying companies in the Quick House Sale market are regulated and this unfortunately gives the industry a poor name at times. Good Move is the ONLY surveying practice in the Quick House Sale industry who are regulated by the RICS (Royal Institution of Chartered Surveyors). As a rule of thumb, if property buyers are regulated homeowners are in safe hands selling property online to them. There are currently around 13 regulated house buyers in the market which can be found on the NAPB website. A sale is only legal once it exchanges so up until exchange, a property buying company can withdraw from the sale at anytime. Another useful method to selling your property online is to go through an auction house. Whilst these are seen as a last resort to selling your property, they can be useful particularly if your property is not selling on the open market or if a property buying company is not interested in buying your home. An auction is simply a process of buying and selling properties and offering investors the chance to bid on particular property lots, taking bids and then selling the property to the highest bidder. Once the auction hammer is struck, this effectively orchestrates an exchange of your property and the successful purchaser has 28 days to complete from that date. Over the last 5 years there have been a number of online property auctions which have been set up and this gives homeowners a great opportunity to sell my property online. Whilst auctions are seen as quite an expensive route to selling property, they can be quite an effective method to selling property online fast. 1) There is a good opportunity to maximize sale price when there are a number of investors looking at your property online. 2) There is a marketing programme which generally runs for a month prior to the auction date to try and gather interested parties to attend the auction online and to bid on properties. 3) Property buyers generally compete against other investors and not the vendor. 4) The Sale period from initial instruction of the auctioneer through to completion of the property is generally 10 weeks. Compare that against a typical estate agency sale and its considerably quicker. 5) Unconditional sale is guaranteed on the auction day if the hammer strikes. 1) Auctions are considered to be an extremely expensive medium to sell property online with fees often around 2% of the sale price (average sales fee is generally around £5,000 – £7,000). 2) Auctions are often seen as a last hope to sell your property. Homeowners don’t generally sell their property for a great price and typically receive around 70-75% of the market value. 3) Auction sales aren’t particularly quick when you compare them to the speed of property buying companies. When you consider the marketing period prior to the auction and then following conclusion of the auction, selling property online through an auction is typically around 10 weeks. 4) If you decide to selling your property online through an auction and it doesn’t sell your property can become unsaleable which means you will struggle to sell the property again. In conclusion there are 3 types of methods to selling property online and it really is dependent on a homeowners position and their idea on timescales and finance available to fund their sale. This blog has hopefully provided a good guide to selling property online and has given you an insight as the advantages and disadvantages of selling your house online through these sales methods. One thing is certain however with all there online selling strategies is that you should always be prepared for viewings. You should keep your property tidy at all times as first impressions count. Good viewings generally mean offers on your property so something to consider. 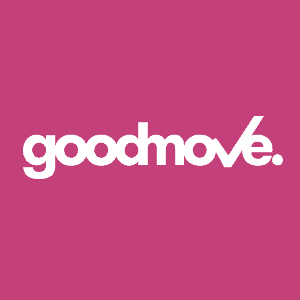 We hope you have enjoyed our blog about a guide to selling property online, if you want to discuss anything further, please don’t hesitate to contact one of our surveyors at Good Move.